Crystal clear vision through your helmet's face shield is certainly sponge-worthy. A little white "V" is all you need for your vendetta against the bug splats and road schmutz that plague your helmet. Simply dip the sponge in water and gently scrub away to restore clear vision. 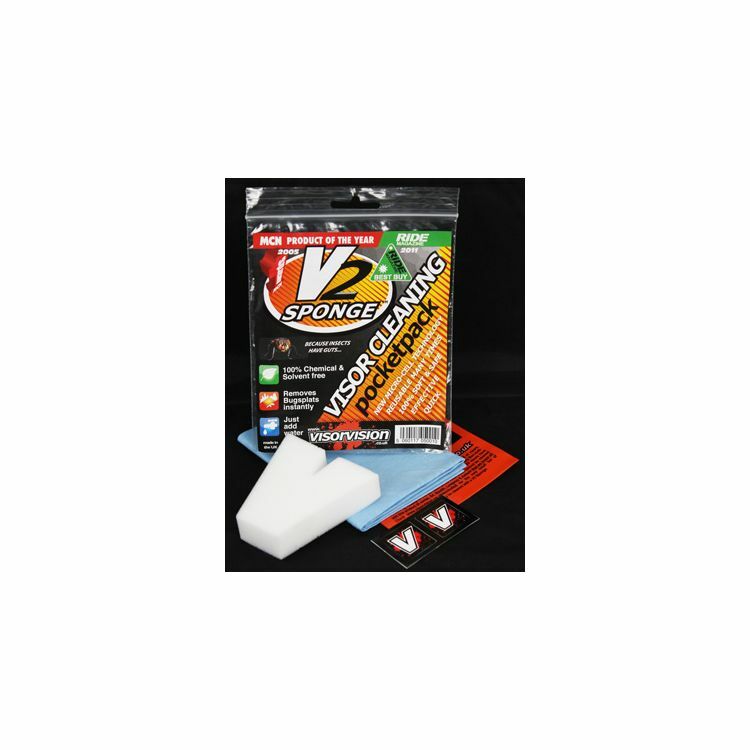 An air-tight storage baggie keeps the V2 moist for cleaning on the go. Note: Some mirror coatings are extremely fragile, spot testing is recommended.